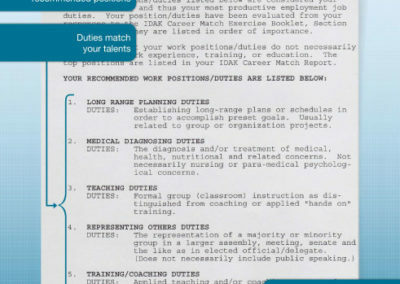 The IDAK Career Match instrument includes the following: An Exercise booklet and answer booklet, an Aptitude Summary Report, a Career Match Report and an Employer Search Guide booklet for matching the results to names of companies and organizations in your city. 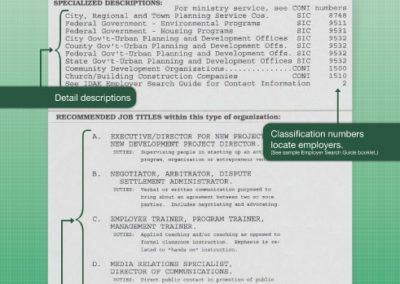 Click below to view samples. 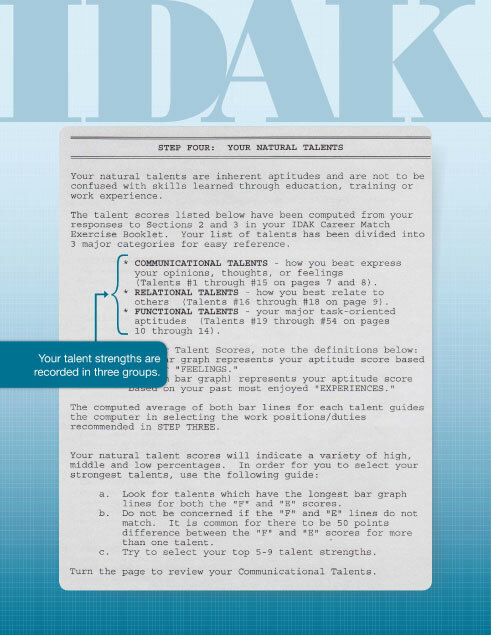 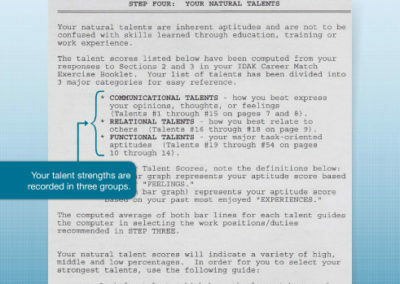 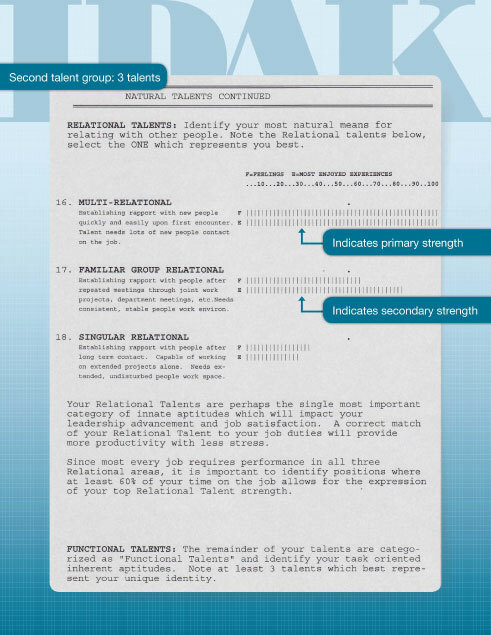 The Natural Talent assessment included with this system identifies a person’s innate natural talents which are different from learned work skills or educational knowledge. 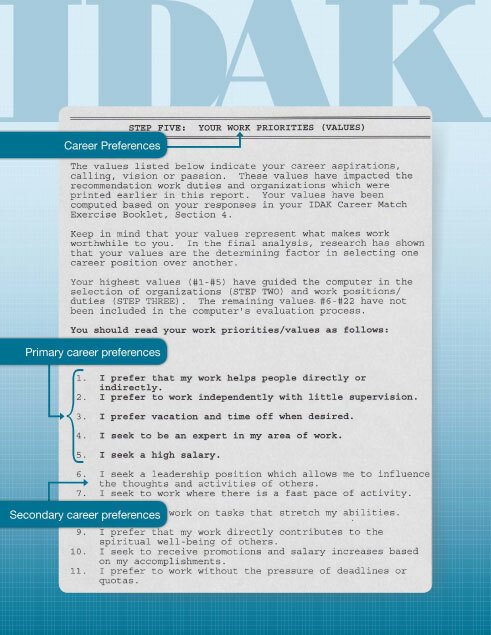 These are your most powerful career advancement aptitudes. 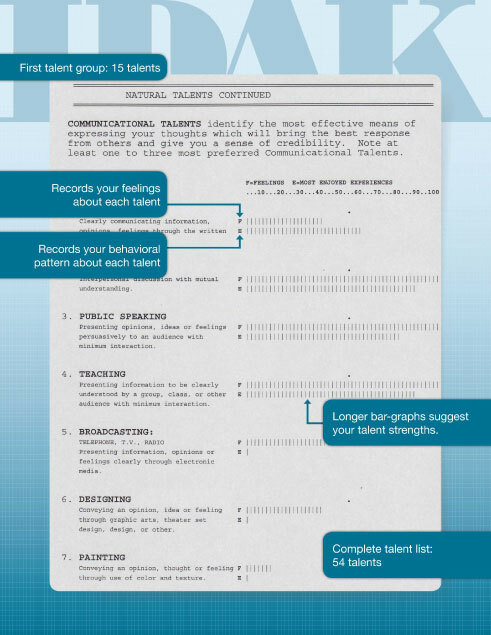 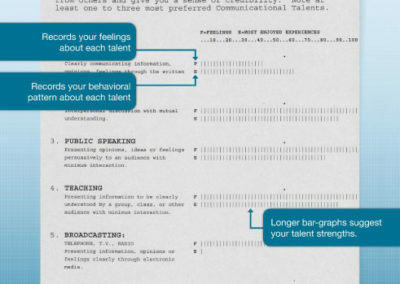 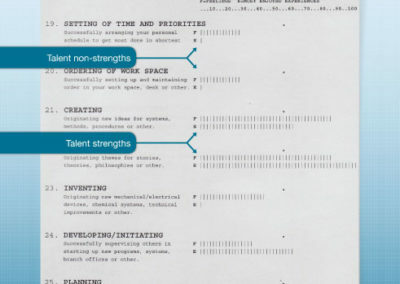 This extensive report provides individualized graphs for 54 natural talent evaluations and a prioritized list of values and work priorities. 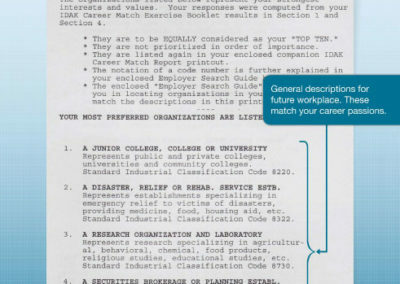 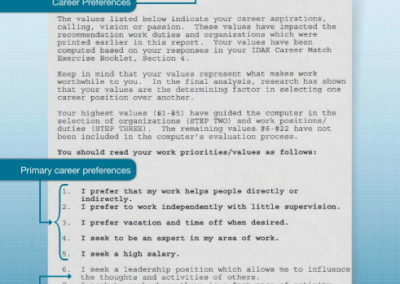 These are then used to identify the 10 best career options and job positions or duties. 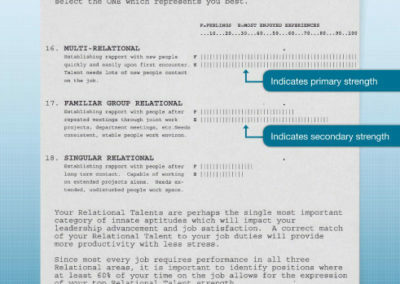 This report features your ten best career matches from over 90,000 possibilities. 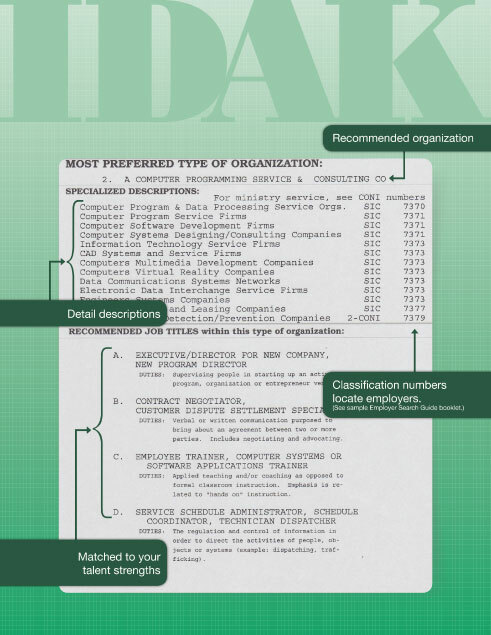 It identifies companies and organizations which are numerically coded to match employer directories in cities of your choosing. 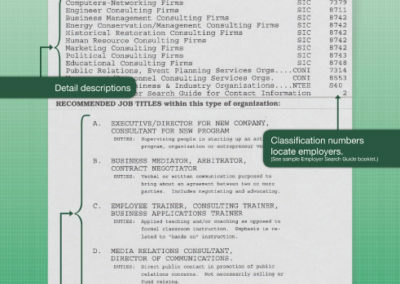 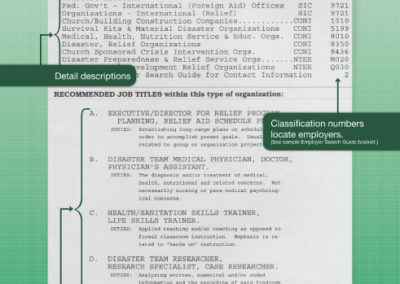 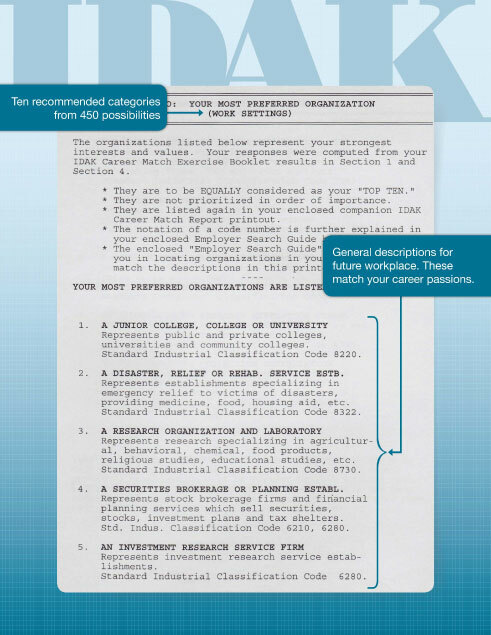 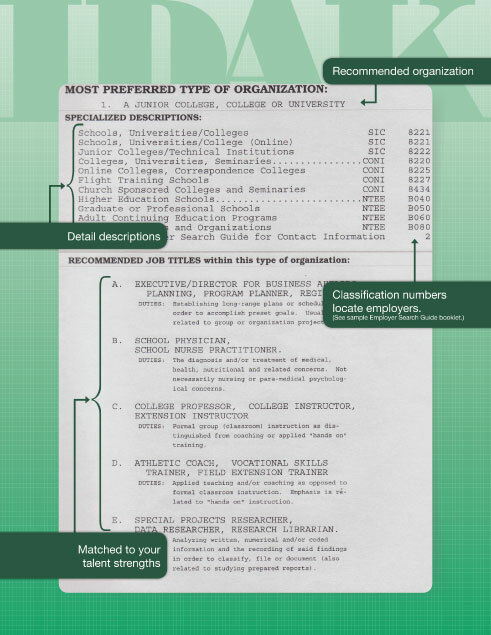 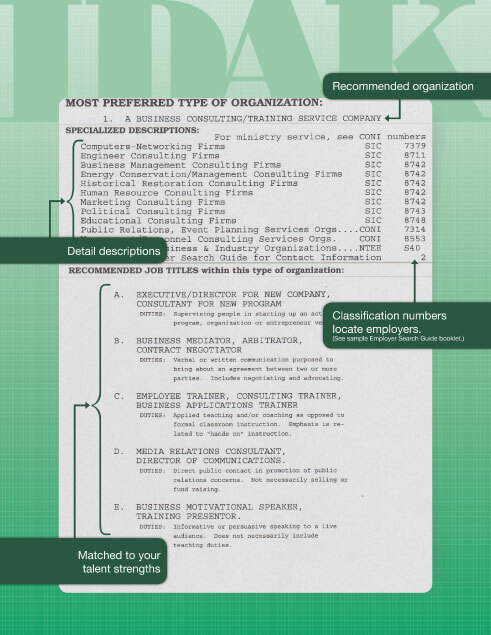 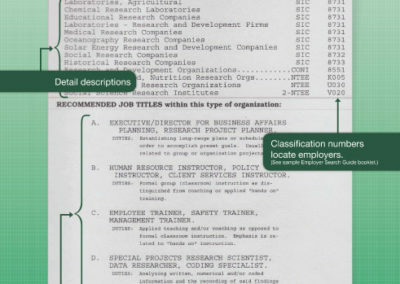 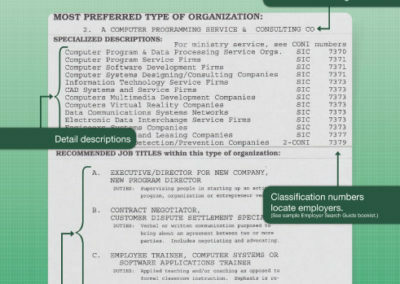 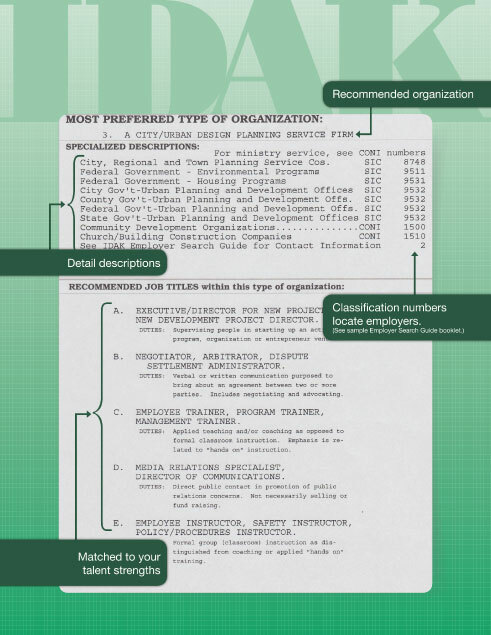 This report also provides up to five job titles for each organization. 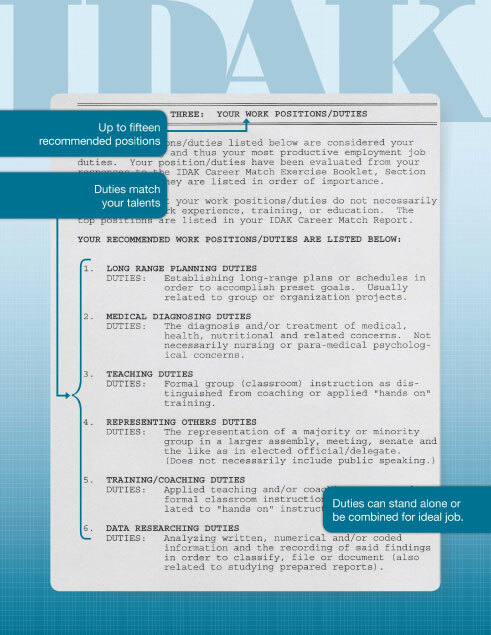 This is a reference directory designed to help you locate employer’s names, addresses and contact information in your city which correspond to your Career Match Reports. 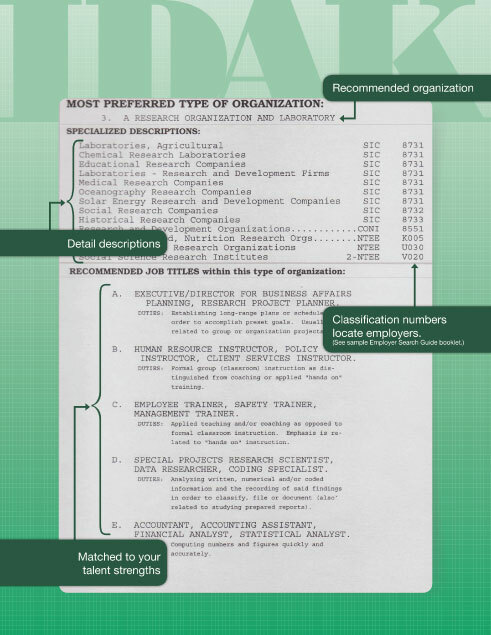 This directory also includes a guide to conduct research surveys of occupations you wish to pursue in depth. 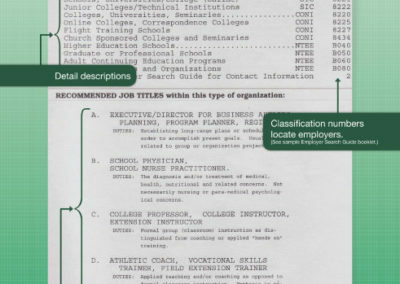 Discuss your needs with one of our counselors! 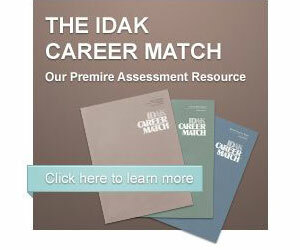 if one of our services fits your goals and pocketbook.